The Centre conducts interdisciplinary research through the physical modeling, numerical simulations and experimentation. 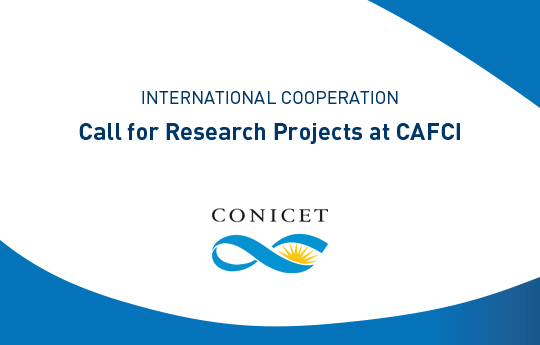 The Ministry of Science, Technology and Productive Innovation together with the National Scientific and Technical Research Council (CONICET) and the National Center for Scientific Research (CNRS), call for the applications for research projects at the Argentine-French Centre for Engineering Sciences (CAFCI). In the framework the call, three projects will be selected. Thus, these projects will have to settle in the Scientific Pole for a certain period of time. The project will have to ensure the continued presence of Argentine and French researchers at the centre. The funding will be provided jointly by the Ministry of Science, CONICET, and CNRS. For further information regarding the projects and the call, click here.